Former American footballer, Tavior Mowry is well- known as the University player for the University of California Davis. 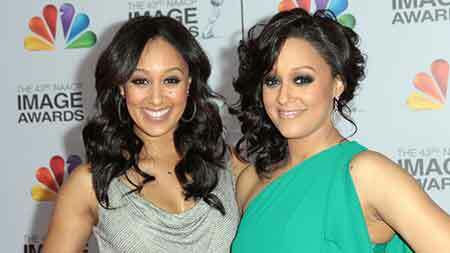 Mowry is also popular as the younger brother of TV twins Tia Mowry and Tamera Mowry. Mowry had to leave his football dream after a career-ending injury. 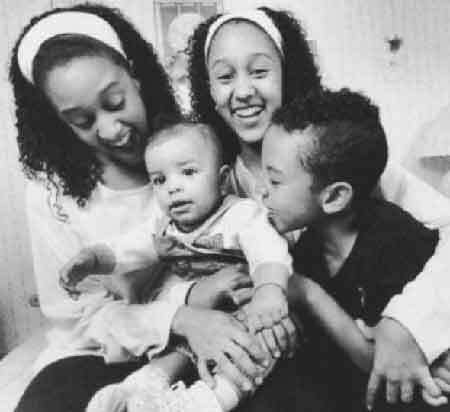 Tavior Mowry was born on July 5, 1993, in Fort Irwin, California, United States. He is Cancer which defines his personality to be deeply intuitive and sentimental. Mowry is American as per nationality and as far as his ethnicity is concerned, he is Mixed (English ancestry and Afro-Bahamian descent). 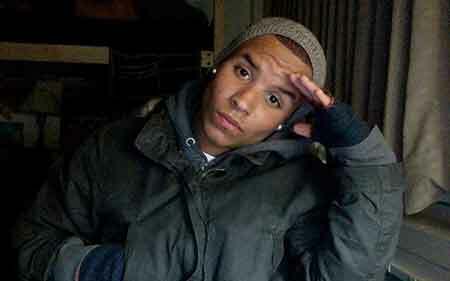 Mowry is the eldest son of his mother Darlene Mowry and his father Timothy Mowry. His parents met for the first time in the high school in Miami, Florida. 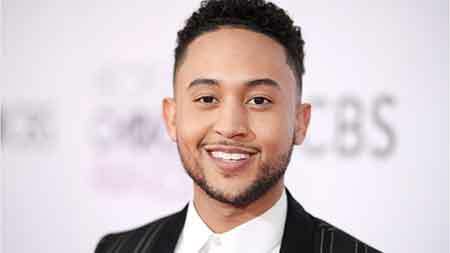 He was raised in the middle-class family with his siblings, twin sisters Tia Mowry & Tamera Mowry and a brother Tahj Mowry. 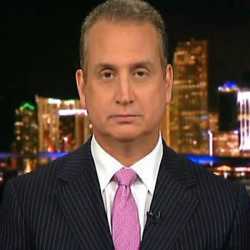 His both sisters are well-known TV personalities. 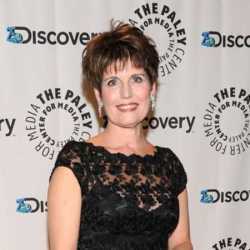 Both of them are popular for their role in the sitcom, Sister, Siter where they appeared in the opposite role to one another. They also worked in several movies from where they grabbed a huge fan following. Whereas, his brother, Tahj is also an actor who is popular for his role in the TV series, Smart Guy where he portrayed the role of TJ. Mowry also could follow the step of his siblings instead he chooses to build his career in football. After the competition of his high school, he attended the University of California. He majored in sociology from there. Since he was very good at football from his school days, he joined the University football team. Tavior Mowry was redshirted at his first year at the University of California. He was one of the best in his team and he was the star player there. In 2012, he played four games with 15 rushing yards and 17 carriers. The following season, his performance went better. He played nine games against Idaho State, Sacramento State, and Northern Arizona. From 2013 he has appeared regularly in the team with an impressive performance. In the same year, he played in nine games and had had second-most carries for UC Davis, finishing with 53 for a third-best 184yards. Mowry's career ended after he faced a career-ending injury. Later, he started working as a wine salesperson. He also discovered his interest in music and enrolled in an audio engineering school, Recording Connection. He then worked under the popular producer, Zach Phillips who had worked with many renowned names like Jessie Ware, Talib Kweli, and The Kooks among others. Tavior Mowry's estimated net worth has not been disclosed yet. Whereas, his twin sisters have an estimated net worth of $8 million. And his brother Mowry has an estimated net worth of $1.5 million, as per Celebrity net worth, in 2019. Mowry’s net worth would have been a lot more than what it is now, had he not sustained that gruesome injury that killed any hopes of him ever playing football. However, with his foray into the world of music as a producer, things are sure to be looking up in his future. There is no reliable source online that states his earnings or net worth at the moment. Mowry is linked to a mysterious girl as they were seen together in shopping complex holding hands together. When he was asked about the girl, he addressed her as a friend. With the limited information he has shared about his love life, it can be assumed that he might be possibly single. Being a part of the celebrity family, his stardom automatically arise. Despite his works, he is popular as the younger brother of his twin sisters. Mowry is also busy on social media sites like Facebook and Instagram. Height = Tavior Mowry stands at the height of 5 feet 9 inches (1.75m). Weight = He weighs 86kg. Age = As of 2018, his age is 25.